Calling all Pretzel fans! 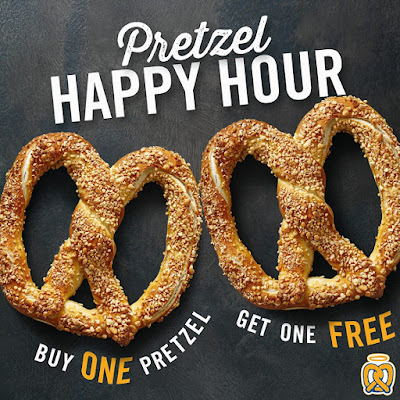 Check out Auntie Anne's Happy Hour Buy1 Take1 Pretzel Promo happening the whole month of August 2017, from Mondays to Wednesdays! This promo is available in any of the Auntie Anne's kiosks/branches nationwide!